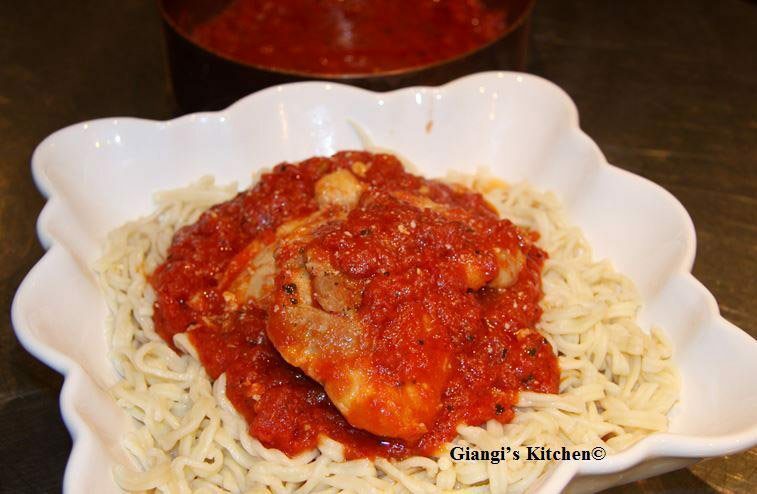 Spaghetti rigati with chicken and tomato sauce. Having some left over homemade pasta from this weekend ravioli, I decided to make some spaghetti rigati with the remainder of the pasta dough and have it for dinner last night. Tomatoes sauce was a given. To simplify my life, I added some chicken thigh’s to the tomato sauce while cooking, and voila a quick school night meal was ready in less than 30 minutes. Place the eggs, flour and salt into the bowl of your mixer fitted with the bread blade. Mix slowly and add water as needed to the dough. Once the dough is well blended, not flaky or too wet (add more flour if this is the case) remove, place on cutting board and cover with a bowl. Let rest for 10 minutes or until ready to use. Using the pasta machine, follow manufacturer directions to prepare long strips of pasta. I use Kitchen Aid and the last turn of pasta is with number 6. 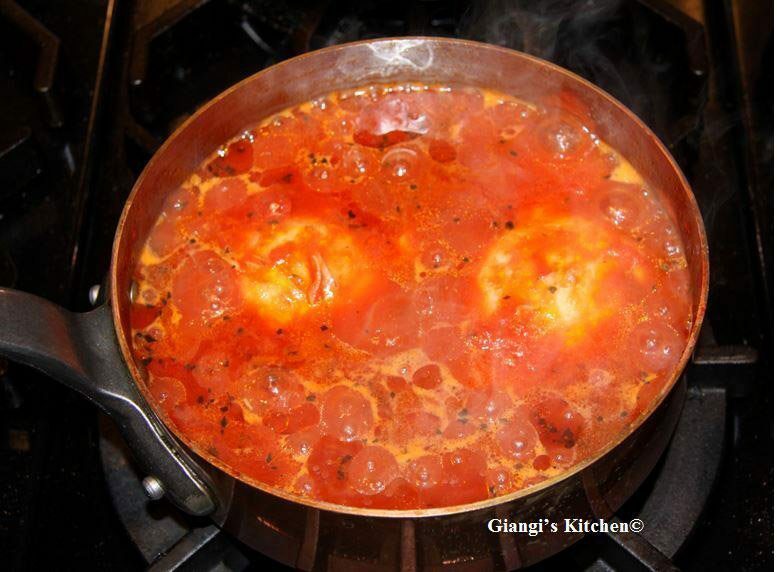 Cook the chicken with the tomato sauce until the chicken is done. 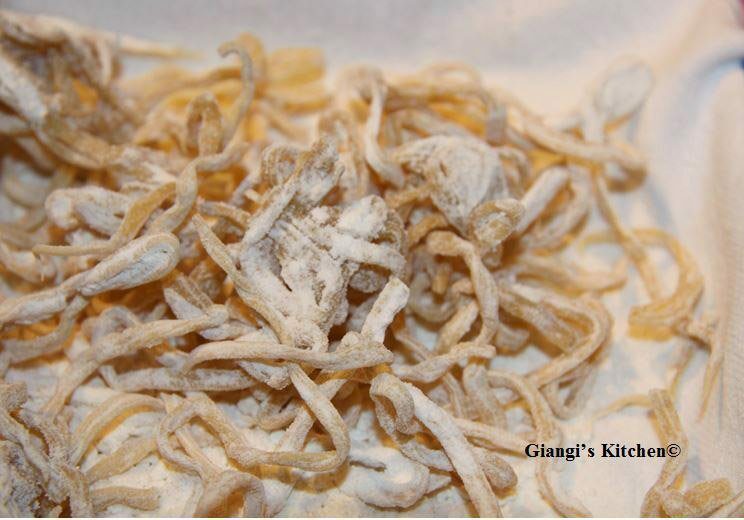 Cook the spaghetti rigati in a large pot of salted boiling water.